At the end of The Kitchen #1, mob wives Kath, Raven, and Angie stood over the unconscious body of a man Kath had beaten to get the money she was owed. Now that the three are firmly in the game, they’re discovering the pressures of a life of organized crime. That first issue of the new Vertigo miniseries did great work building the stakes for the central trio, and things are only getting tougher for them as they come across rival gangsters and—in a particularly unfortunate turn of events—a man who witnessed the aforementioned beating. 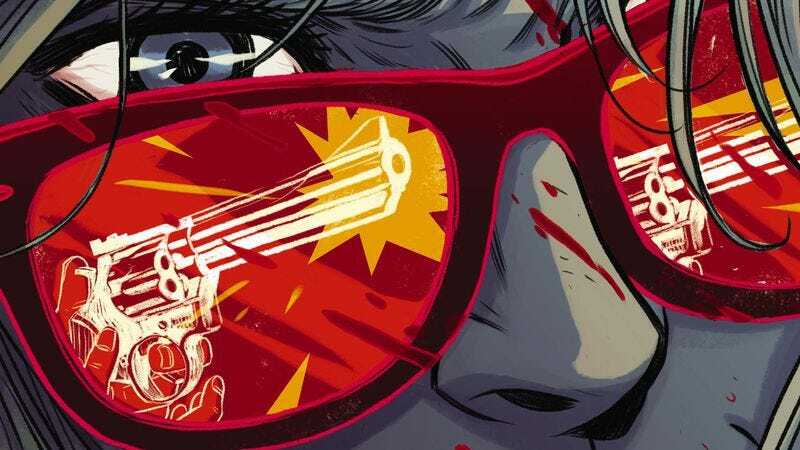 As Ollie Masters’ story intensifies, the artwork by Ming Doyle and colorist Jordie Bellaire keeps everything grounded in reality by evoking the 1970s time period in crisp detail. From the hair and costumes to the streets littered with garbage, the art in this preview of next week’s The Kitchen #2 immerses the reader in that past. It was a considerably more dangerous time to be living in New York City’s Hell’s Kitchen, and these three women are going to have to rally their strength if they want to overcome the numerous obstacles standing in their way.